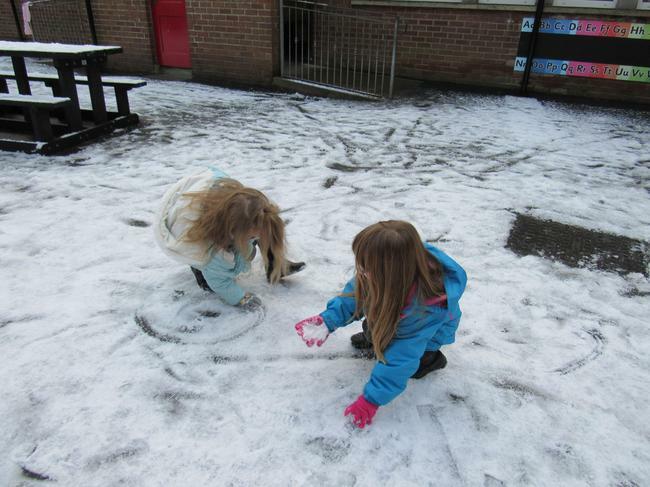 On Friday when we woke up everywhere was white with snow. 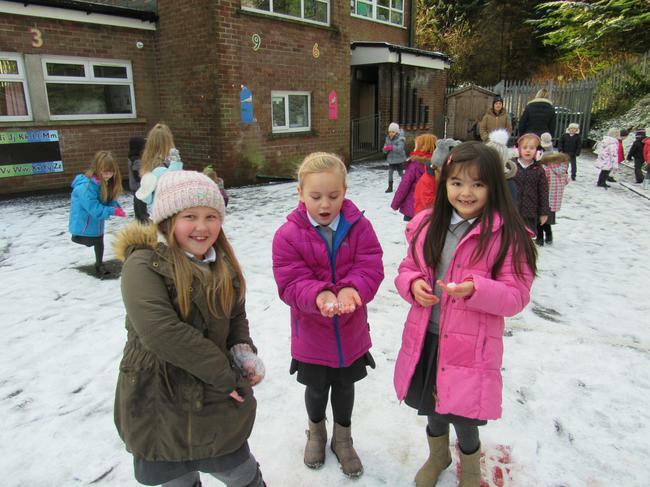 It was so exciting! 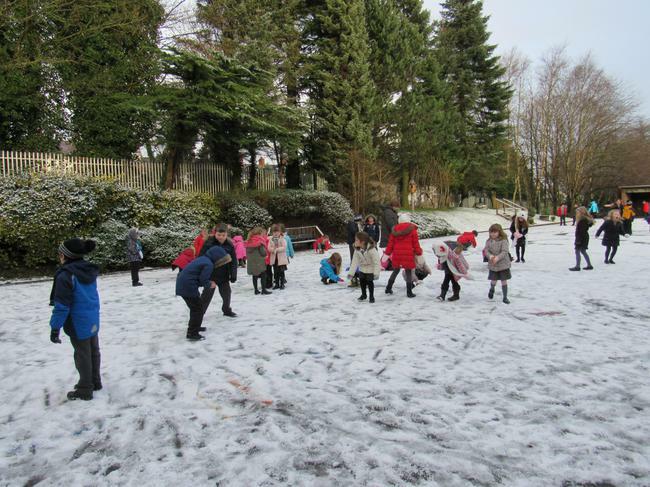 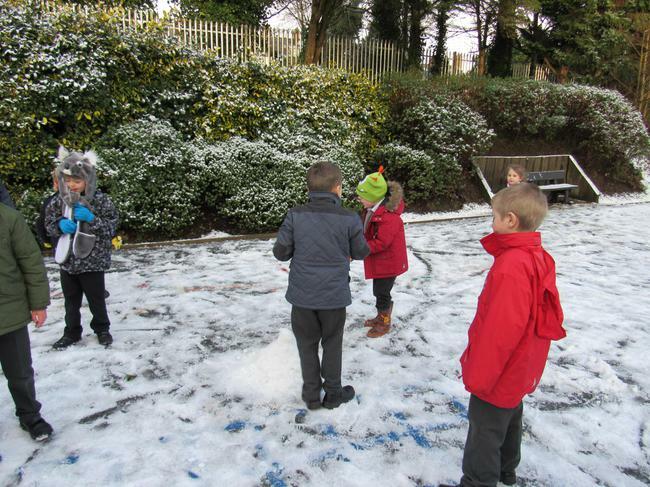 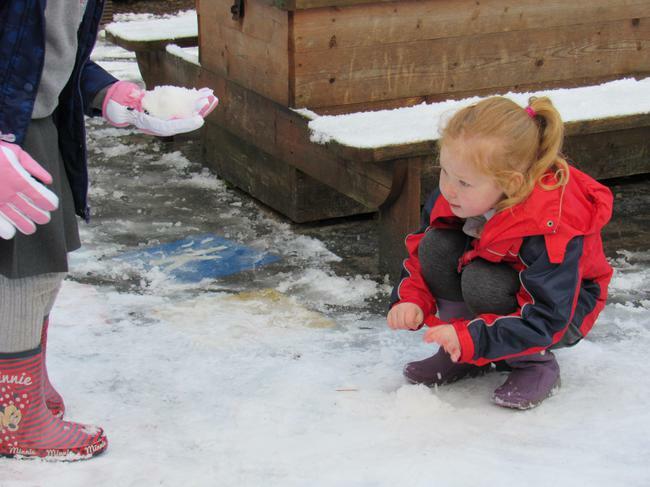 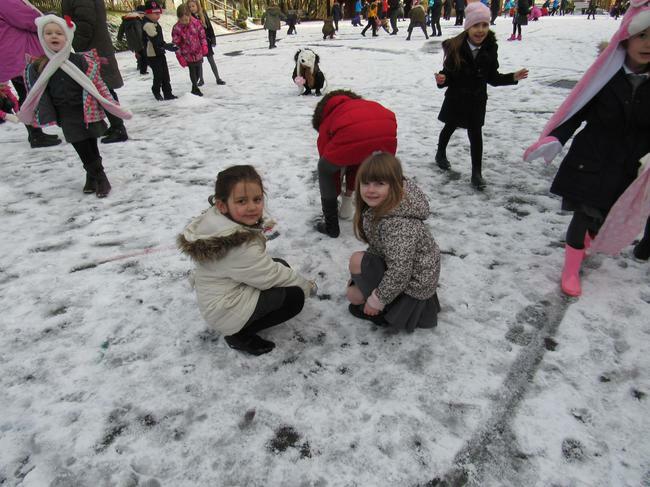 At break time we went out to the playground to play in the snow. 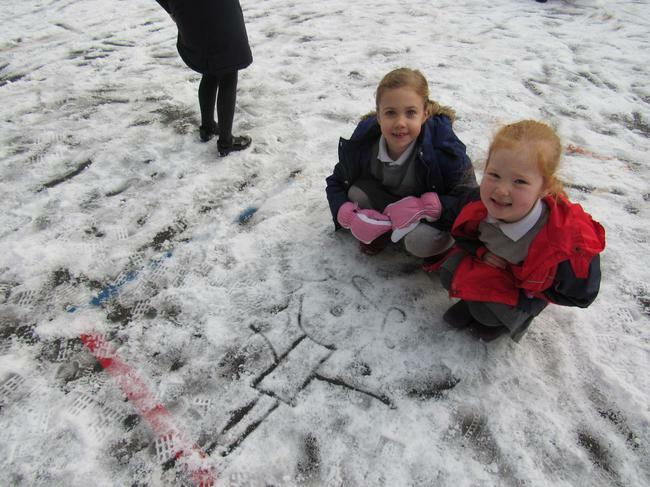 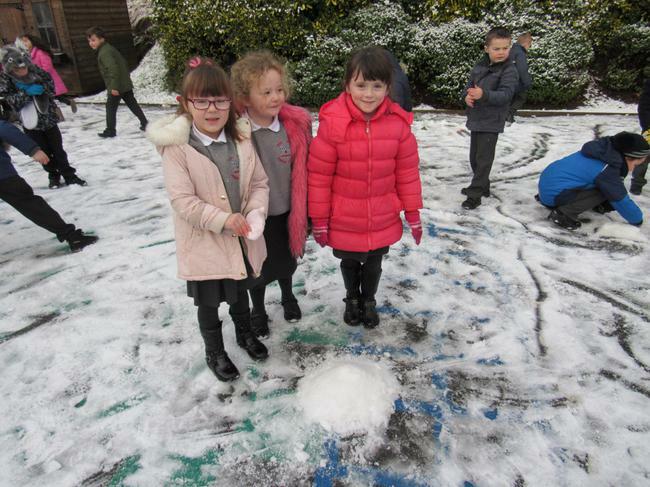 We made snowballs and snowmen we even made some drawings in the snow. 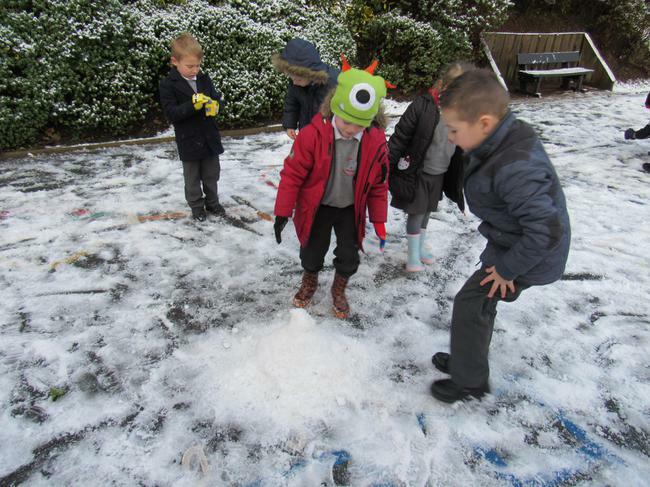 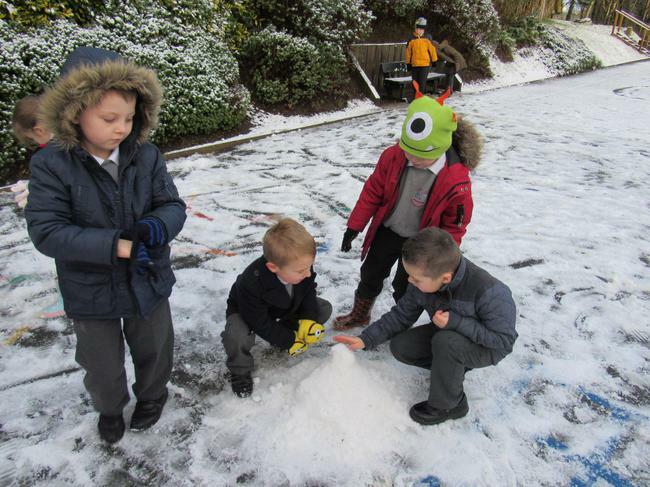 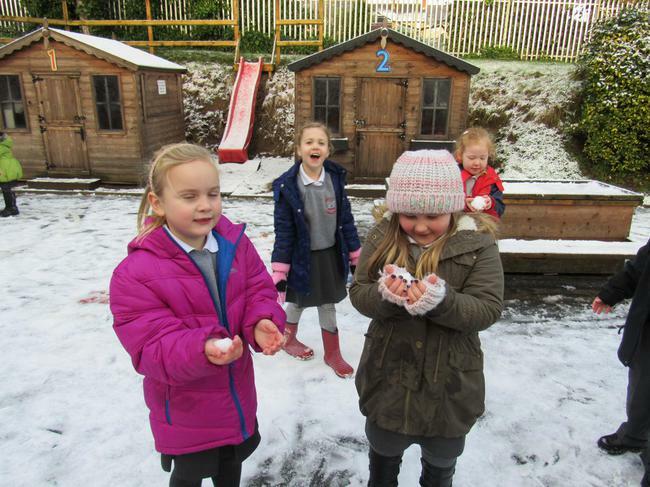 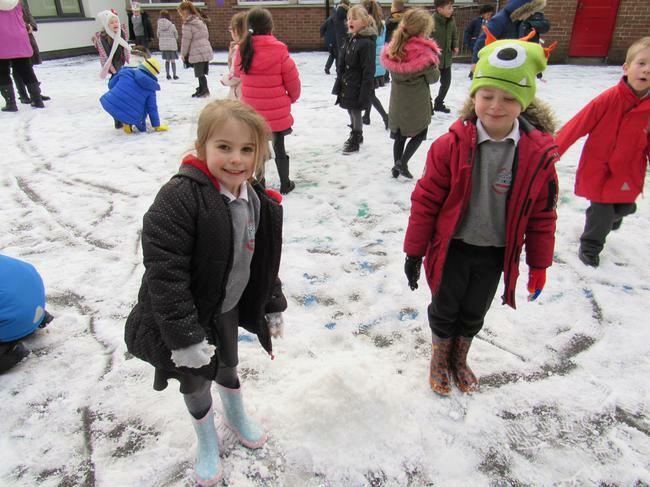 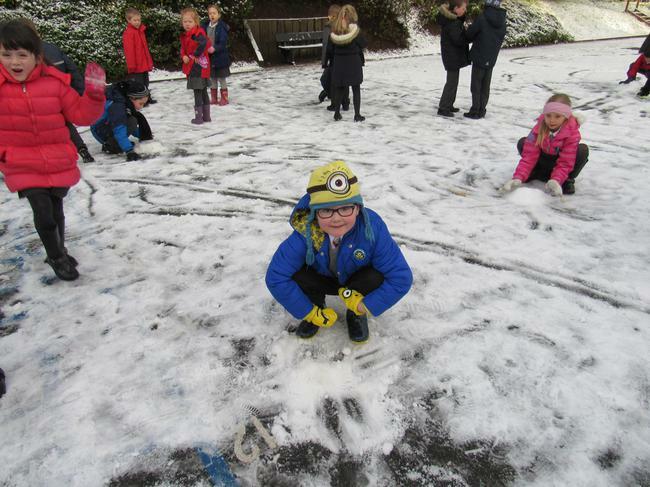 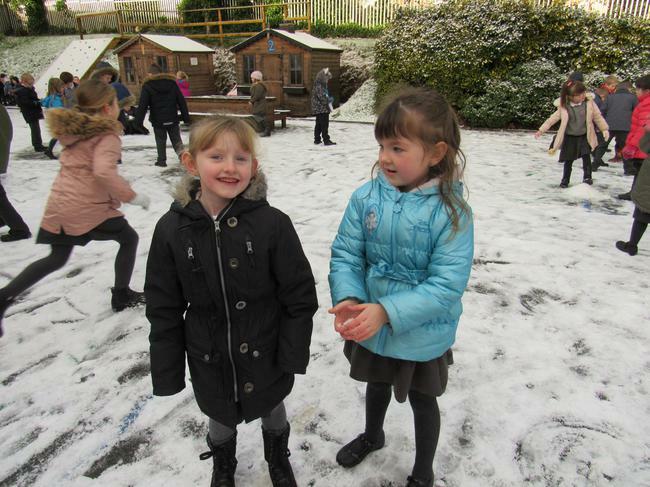 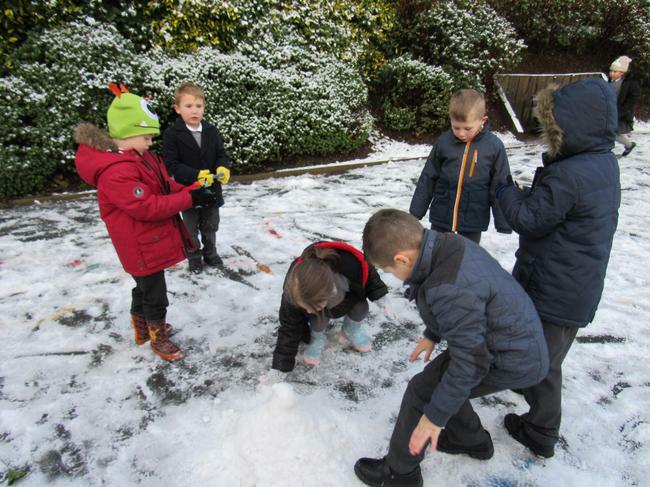 We can't wait until it snows again!